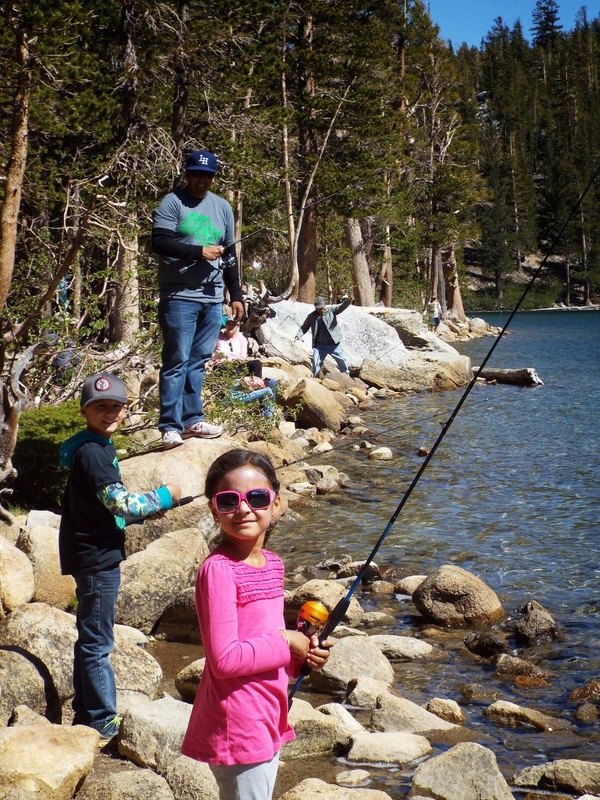 My family is looking forward to our third trip to the Eastern Sierras this summer. We gave camping a shot just two years ago and now it feels like I can’t imagine life without it. I’m as guilty as they come when it comes to screen time, yet I can’t wait to get away from the technology and get lost in the serene surroundings. Growing up I took one or two camping trips as a kid, but I always wanted to do more. Now that I have my own family I can’t help but want more time with them away from it all. So many people ask what is there to do, but really the possibilities are endless. We found that we love fishing as a family. We don’t really catch many fish, but we enjoy the time together and there is nothing better than celebrating the few we catch together. I’ve learned to set my son up with a lure or jig is the way to go since he insists on reeling in his line repeatedly. He came awfully close to catching his first fish that way last year. This summer I think he’ll get it done. Being out there teaches me lessons all the time. Last year, bring a towel. I forgot to pack a towel in my bait box and as a result I let my wife’s only fish slip out of my hands and back into the lake before we could snap a pic. She wasn’t happy about it, but we definitely learned from it. Go for a hike. 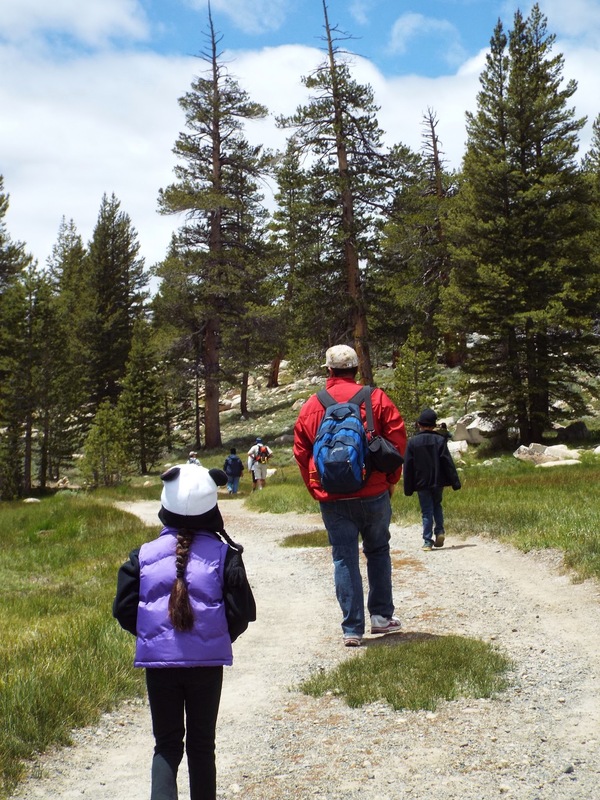 We love hiking around the Eastern Sierras. The last two years we have taken nice hikes and feel like we still have so much to explore. The first trip we hit Devil’s Postpile en route to Rainbow Falls. It was a beautiful hike that led us through a nice 5 mile roundtrip journey. The best part about the hikes are pointing things out to my kids that they otherwise might miss. My kids like most are well adjusted to a faster pace of life filled with technology and move from one thing to another in such rapid pace that they don’t often slow down and take things in a little deeper. These hikes help them see all there is out there and when we do it quietly we sometimes get rewarded with a glimpse of wildlife. If you’re not completely ready to rough it, check out your desired camping area and see if trailer rentals are available. Where we tend to camp it can be rather cold at night even in June, so this year we decided to rent a trailer. It paid off when it rained and hailed from Saturday afternoon until Sunday morning. The trailer service we used drops off and picks up the trailer for you. All you need to do is book a campsite. Camping takes a lot of planning but I have a few tips for you if you click on the link. The effort and energy that we invest in a trip to the wilderness pays off in spades as we get to enjoy time away from civilization and take in the sights, sounds, and smells of the great outdoors. So get out there and see for yourself. There’s so much to see and do that you will be yearning to return and explore some more.